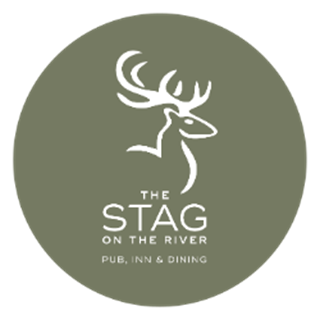 Perched on the banks of the River Wey in the charming Surrey village of Lower Eashing you will find the Stag on the River Pub and Inn. A regular haunt for shooters and hunters in years gone by, The Stag on the River has given rest to many a weary soul filling them with local tales, fine ales and hearty food. The tradition remains the same; our infinite passion for great beer and proper rustic food made from the best local ingredients. Come visit us, you will be warmly greeted with the very best that a great English pub can offer. The Stag on the River also has seven beautiful letting rooms. If you’re looking for something a little different, you’ll find no two rooms at The Stag on the River are the same. Each room has its own personality and character. The rooms are all located in the main building and therefore offer a combination of rustic English countryside inn with luxurious contemporary style and furnishings. All rooms offer beautiful en suite facilities, and can be booking via our website. Our Hungarian waiter, David, was wonderful! Polite, cheerful and very attentive to our needs. It was so nice to be served by somebody who obviously enjoys the work and does everything he can to ensure that the guests enjoy the evening. 'Everything is ok" ..... Just when you have a mouthful of food. A good waiter can see that the guests are enjoying the food and surroundings without continually making meaningless questions and interrupting conversations. Thank you so much for you lovely feedback, I will be sure to share your comments with David who I know will be trilled you had such a great evening. Food very good, however we had two small children with us and they were not very impressed with there meals. Pizza sauce was very rich for a child and my grandaughter was not impressed by the carrots, she said they tasted funny (this is from someone who loves them). I think plainly cooked ones would have been better. My husband and I had a wonderful dining experience eating dinner outside on a summers evening, the only comment I would like to make is that all the staff seemed like school leavers with not much experience and sometimes we're not attentive enough. This was my second visit to The Stag on the River & it failed miserably to disappoint! There was a warm welcome, lovely table service and a delicious meal. So, thank you to one and all & I look forward to my next visit. Attention to detail is what sets the stag apart from other pub accommodation. Every detail is carefully thought it to leave you feeling relaxed the moment you check in. Staff are positive and helpful, food is tasty, and surroundings are beautiful. The stag makes for an excellent weekend getaway whether you're coming from 3 or 300 miles away. Fantastic food. Really enjoyed the meal and will no doubt be back again. The standard of the food served didn't live up to the promise, and therefore it wasn't good value for money. One of my guests had the fish cakes and said they were potatoe cakes; he struggled to find the fish. This restaurant relies on its fabulous location to serve some very mediocre food. These were good examples of lazy cooking. It wouldn't take much to get it right. Food was lovely, but sent back as food was tepid. New meal still tepid. No follow up to check if it was okay. Ate it as the others were eating their meal. So great taste, but not good temperature. Thank you for submitting your review to us. I am so sorry to read that your foods temperature was not hot enough when initially served and of course sincerely sorry that we were not able to correct it sufficiently the second time. I shall look into your reservation and the courses ordered and relay your feed back to our head chef. I hope to see you dining with us again soon. This is my mainstay pub. Love it. Staff are wonderful. The meal we had was over-cooked, the bits of fish, dry and not appetising, some of the vegetables burnt. The sun dried tomatoes over powered the taste, really a strange mix. Also the food was not entirely as described on the menu. The service was attentive and polite. However, first and last visit to this chain. I do believe I spoke with you on the evening and once again offer my apologies that your meals were not to your liking. I do hope you will consider dining with us again in the future. Fabulous rooms, great food and such a lovely position. Room was absolutely spotlessly clean. The food was fabulous, good sized portions, nice atmosphere. Perfect lazy Sunday lunch! Always a pleasure visiting. Great food, great service and great venue. Thank you for always making our visit special. Having initially made an enquiry about child-friendliness we were draw because of the helpful and personable response. Pulled-pork salad was amazing. Whole experience was excellent and rounded off with fun in the garden with ice cream and the toys. We stayed for so long that lunch ran into dinner!! First course of courgette flower and baked Camembert was great. The two burgers we had were very salty and my wife's beetroot salad was a bit boring but more importantly came 5 minutes after all the hot dishes had come to table. Not quite the 5 stars we were expecting. The food was excellent, interesting and well prepared and served, without trying for the boringly exotic. if the service was a tad less than instantaneous, that reflected the fact that the whole place was full - but that gavea  really great atmosphere. Great pub, in a lovely village/setting. I will definitely be back, especially in the Summer. Great menu, and choice, although I thought some of the menu options were slightly over-priced. Even though it is always busy there is never any hurrying you along by the staff who are always friendly and seemingly happy even though they are working incredibly hard! They are happy to tweak menus if asked, and the food is always well presented and freshly cooked. Fantastic food and a great choice of local beers/ciders on tap. Really friendly staff and a fantastic meal.